A key genre in the seventh gen, the instrument-based music game fell as quickly as it rose. Most point the blame at Guitar Hero for saturating the market, including a whopping seven games in 2009 alone. 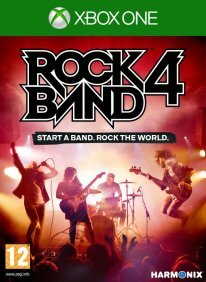 Even Rock Band 3, perhaps the peak of the genre, fared unfavourably in sales. 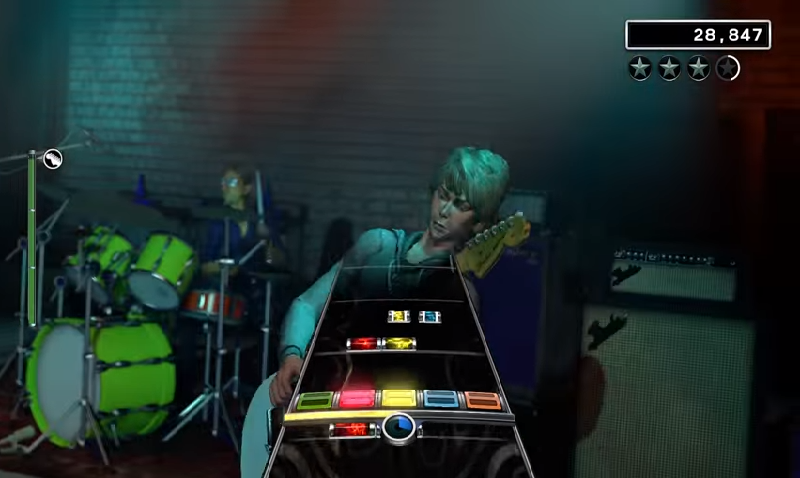 But now, in 2015, Rock Band is making a comeback with its fourth iteration. With a seemingly tighter focus and rebooted modes, it seems like RB4 would be a platinum hit. But, it feels like for every step it takes forward, it takes a couple back. Despite this, it’s still a party worth attending for genre aficionados. ​Perhaps the strongest card RB4 holds is compatibility. If you happen to own certain old instruments that may be collecting dust, they could be compatible with the game. Though a wireless adapter is needed (and does increase the price), it’s very handy. If you do need to buy new instruments though, the Band-in-a-Box comes with a slew of improvements. The guitar feels solid and comfortable, the drums are sturdy though require a firmware update, and the mic is sound. The other key selling point is DLC compatibility. If you own a significant amount of DLC from the official store, it is likely compatible with RB4, though currently exports are not, as are RBN. It’s very handy if, like me, you’ve poured money into the games previously. This makes RB4 nearly essential for fans. But how does the game play? If you’ve dabbled in any of the previous instalments, you’ll be instantly familiar with RB4. Naturally, you have to match the notes as they come on screen by clicking your guitar, bashing your drums or screeching down the mic. One of the newest features is Freestyle, allowing you to jam out to guitar solos without a preset chart or alter your vocal pitch slightly to maintain a combo. Still, both are fun and welcome additions. You can play solo, or locally with three mates on the four instruments. Unfortunately, online play is currently unavailable. That being said, there’s nothing better than playing your favourite songs with your friends while either aiming for high scores or just jamming. 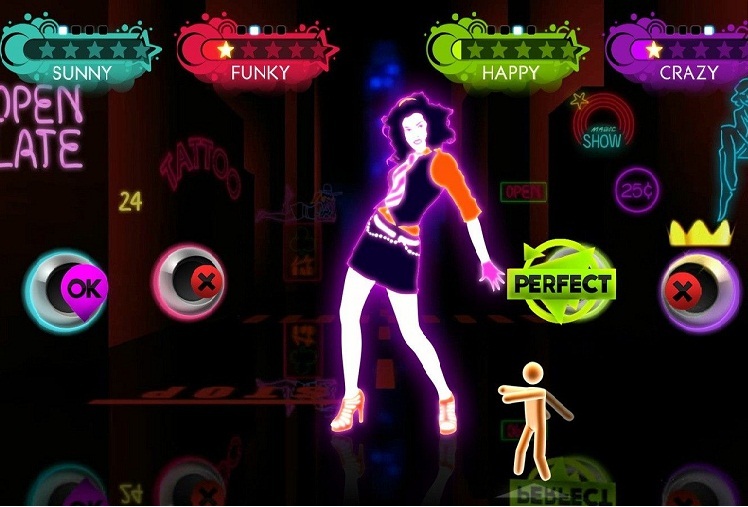 And the gameplay modes definitely favour continued sessions, as Play a Show allows you to continually play while voting for songs along the way. Those not won over by previous games will remain unphased, but otherwise, it’s a cheerily familiar tune. Removing the career mode of RB3, Tour Mode from the first two instalments sees a return. Here, you create a band, customise your own avatar and set out, starting in smaller gigs and easier songs while earning fans and money. The new wrinkle here is an element of choice, as you partake in specific tours. Each segment allows you down one of two paths. One will either earn your more fans and let you vote on your setlists, while the other is more commercial and though it gives you less fans, earns you items for free from the rock shop. This is cool in terms of changing the setlist layouts, but it’s also a little distant, only relaying this through text in the menus and loading screens. That being said – a lot like previous games – Tour mostly relies on your patience with the main setlist, unless you bring some DLC songs with you, but it’s fun to play with others and is fairly addictive. But here’s where the game somewhat falters: the main setlist is one of the shortest in recent memory. While RB2 and 3 offered eighty-plus, RB4 reduces its set down to a little over sixty. Don’t get me wrong, the set is not a complete loss. Classics such as Van Halen’s Panama, Toys in the Attic and even U2’s and Elvis Presley’s debuts merit plays, and there’s a pretty decent variety ranging from Foo Fighters and Queens of the Stone Age to Paramore, Disturbed and System of a Down. But perhaps RB4 is a victim of its own DLC, as a lot of the set contains either more unknown songs, or smaller choices from newer albums. And there’s also a fair amount of unknown artists, which range from interesting to downright dull. But despite these flaws, the game still remains fun to play. The visuals nail the rock ‘n’ roll aesthetic, even if the character customisation is limited compared to previous instalments. 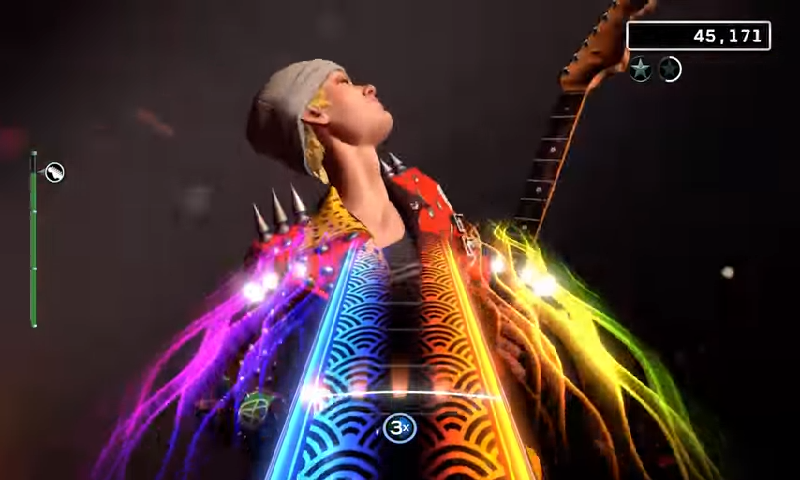 Harmonix’s penchant for excellent charting mostly remains intact, bar maybe "Dead Black (Heart of Ice)" which features some of the worst strum lanes I’ve seen. And new tweaks, such as the voting system which allows you to choose songs, feel like a refinement well deserved. 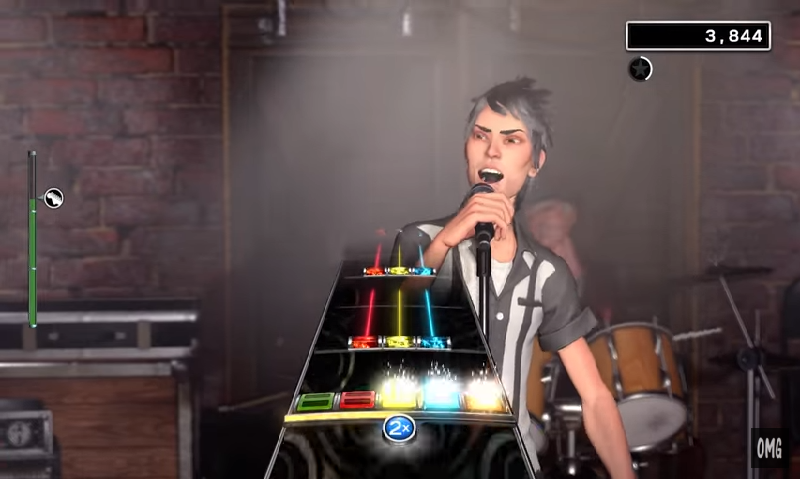 But in the end, there can feel like there’s more things cut than added, though Harmonix have stated that many of these elements may return to this platform through patches. So ultimately, a recommendation on Rock Band 4 depends on your enjoyment of the genre. For fans of previous games, who own instruments and DLC that work with the game, it is nigh-on essential. For those unfamiliar with the games, it could be a fun starting point that grows as you invest in more music. For anyone not impressed previously, they will still remain unimpressed. 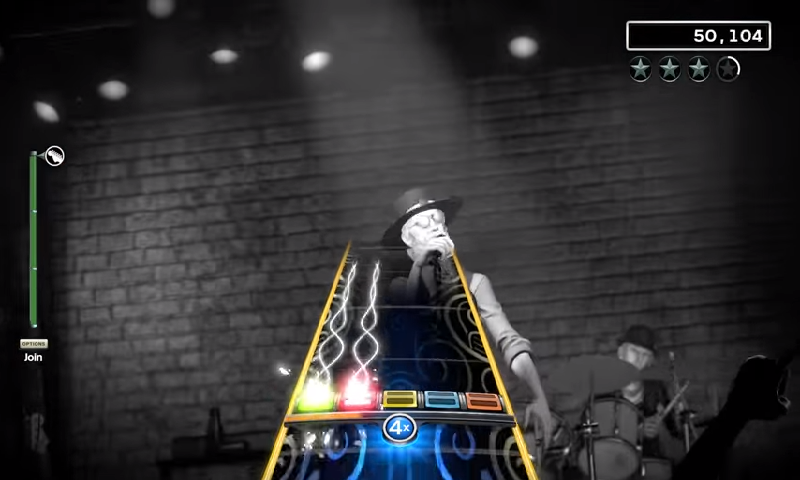 But ultimately, there’s something still so captivating about Rock Band 4, a weird conundrum that exists despite seemingly dying back in the seventh gen. It’s solid all around, and certainly nowhere near the worst of the genre, but it remains to be seen what game RB4 will become, as currently, it can feel a touch thin.